Reverse Mortgages, once typically thought to only help struggling seniors, have undergone enormous changes recently and are being used to help even affluent retirees achieve their retirement dreams and home buyers purchase new homes. The Reverse Mortgage for Purchase program is quickly gaining in popularity. This program allows seniors to purchase a home using a reverse mortgage and live mortgage payment free. To qualify for this program, borrower(s) simply need to be age 62 or older, be purchasing a home to become their primary residence, and have their “required investment”. The borrower will still be the homeowner and will always retain the title. In addition, similar to a homeowner who owns their home free and clear, there will not be a monthly mortgage payment but the borrower will still be required to pay property taxes, homeowner’s insurance, HOA fees, and basic upkeep and utility payments. The borrower can use this loan to purchase single family homes, town homes, and FHA approved condos. Unfortunately, these loans cannot be used to purchase homes under construction and the home must have a “Certificate of Occupancy” issued prior to starting the application process. 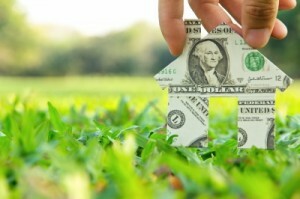 As mentioned above, the borrower will need to have their “required investment” or down payment. This amount is determined by a calculation set by HUD based on: the lesser of the sale price or appraised value, the age of the youngest of the borrowers, and the current expected interest rate. There are many examples available of these numbers to help real estate professionals and borrowers determine the price bracket they should search based on the required investment they have available. Unlike a traditional mortgage where the loan reaches a “maturity date”, reverse mortgages have a “maturity event”. This is the event which causes the loan to become due and payable. These “events” include: the last remaining borrower passes away, the homeowner sells the home, the last remaining borrower leaves the home for 12 consecutive months, or the homeowner defaults on property taxes or insurance. Prior to being approved for a reverse mortgage, HUD’s Federal Housing Administration (FHA) requires each borrow to participate in a counseling session with an approved agency. These not-for-profit agencies are funded by the federal government and work closely with both the FHA and lenders to ensure a smooth process. The goal of this session is not to steer a potential borrower in one direction or another, but to make sure they clearly understand all aspects of a reverse mortgage. Jan Jordan is a Reverse Mortgage Specialist serving the Fort Collins, Loveland, Greeley, Longmont, Boulder and other Front Range areas of Colorado. Click here to contact Jan and learn if reverse mortgage is right for you.